Transport Action Prairies members worked very hard make sure railway branch lines are preserved. A May 2007 symposium at the University of Saskatchewan, organized by Transport Action (known as Transport 2000 at the time) is widely credited with a renaissance in the rural rail traffic. There are now 12 shortline railways on the Prairies, many of them owned by farmers and community leaders who first connected at the symposium. If you like the work the organization is doing please join, volunteer for, and/or donate to Transport Action Canada. Transport Action Canada held its semi-annual board meeting in Ottawa on November 11-12. Members of our board of directors travelled from as far afield as Quebec City and Saskatchewan, while others participated by teleconference from Nova Scotia, New Brunswick and British Columbia. The meeting dealt with a number of current issues, including the need for a national transit strategy, the future of VIA Rail, impact on passenger services of downgraded or abandoned rail lines in New Brunswick, Ontario and British Columbia, rural transportation, aviation safety, and the long-delayed release of the High Speed Rail report. The board also addressed strategies for fundraising, membership growth, website improvements, volunteer engagement and publications. A public meeting followed on 2 November at which Transport Action member Tim Lane and president David Jeanes presented on the 10th anniversary of Ottawa's very successful O-Train diesel light rail line, its genesis, construction, operation, and expansion plans for the future. The working plans to test the hangout feature, a video conference with shared access to spreadsheets, documents and video. Join the hangout on Wednesday at 12:00 Pacific time 3:00 PM Eastern. 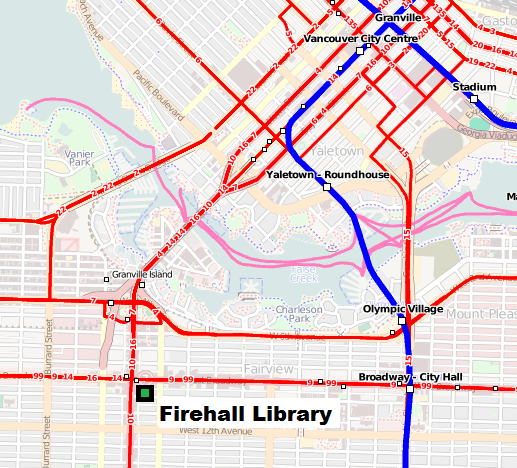 Transportation Action will demonstrate how to use Open Street Map to map transit systems. Transport Action BC reports: "South of Fraser Mayors want for Light Rail Transit in Surrey and the Minister of Transportation and Infrastructure is listening. LRT technology is a better fit for the lower density region consisting of Surrey and Langley many believe. "TransLink is doing a comprehensive study of transit options in Surrey called the Surrey Rapid Transit Study. Phase 1 has been completed and phase 2 is underway with public meetings scheduled for early 2012. As reported in the last Western Newsletter of Transport Action, Surrey has put together a vision of LRT on its website," Transport Action BC reports. Links to the study and more information is at the Transport Action BC blog. Montréal, le 11 novembre 2011 – L’association Transport 2000 Québec accueille avec satisfaction la décision du ministre des Transports du Québec Pierre Moreau et voit là une occasion d’étudier sérieusement l’option du tramway et d’en connaître encore mieux la pertinence et les avantages. Aussi, la stratégie consistant à inclure ce mode de transport dans un contexte plus large d’accessibilité et de mobilité durable joue en faveur du projet selon l’organisme. Ainsi, plusieurs facteurs renforcent l’opportunité du projet pour Transport 2000, notamment la hausse constante de la motorisation et la difficulté pour le transport en commun de concurrencer réellement l’automobile dans la Capitale. Une des raisons qui milite en faveur du tramway est le fait que Nantes, une agglomération française de la taille de Québec, en est rendue à compléter un réseau de trois lignes distinctes. Enfin, si la Capitale souhaite un jour accueillir les Jeux olympiques d’hiver, les autorités n’auront pas d’autre choix que de renforcer considérablement son réseau. On en a vu les limites avec les Fêtes du 400e anniversaire en 2008. Sans compter que la congestion, naguère inexistante dans la Capitale, gagne du terrain et cela pourrait potentiellement étouffer le dynamisme du centre et le maire semble bien conscient de cette menace. "Last week, Engine 5353 pulled another train of grain cars collected from places like Alliance and Forestburg in the picturesque blue-and-gold landscape of east-central Alberta. It’s been a spectacular fall for harvest, at least in this part of the prairies; the crop is a good one. But the mood is nowhere near as sunny as you’d expect," Roger Epp wrote for the Edmonton Journal on November 10. "For the farmers who own Engine 5353, the track and the sidings alongside it where they load the cars, the CWB is bigger than partisan politics. It is a lifeline,'' the Edmonton Journal reported. Peter Lacey, Transport Action Canada vice president says, "All the short-line railways that depend on wheat shipments will be left hanging out to dry as they will not have the influence to ensure a timely flow of grain cars for their requirements." Montréal, le 14 novembre 2011 – L’association Transport 2000 Québec a présenté aujourd’hui en conférence de presse les priorités que doit retenir le Gouvernement en matière de financement du transport en commun et de politiques tarifaires. Jugeant les tarifs trop élevés, le président du Conseil monsieur Robert Dubé – accompagné de ses principaux collaborateurs pour l’occasion – a clairement demandé qu’un gel des tarifs soit appliqué pour les trois prochaines années. Conscient des inquiétudes que pourrait susciter cette revendication au sein des municipalités et des sociétés de transport ou auprès du ministre des Finances Raymond Bachand, monsieur Dubé a insisté sur le fait que les investissements en transport en commun constituent bien davantage qu’une dépense d’épicerie et qu’une nouvelle politique – qui viendrait renforcer le Fonds vert créé en 2006 – de relance des investissements (infrastructure ou exploitation) serait de nature à rendre l’économie québécoise bien plus concurrentielle tout en améliorant la mobilité de la population et la qualité de vie des citoyens dans les communautés. Flanqué de son trésorier monsieur Anthony Frayne, qui est lui-même économiste et président du comité permanent Financement des services et politiques tarifaire, il a présenté aux médias un résumé du mémoire de l’Association et annoncé la tenue d’un forum national qui se tiendra à Québec et à Montréal les 28 et 30 novembre prochain. Le programme complet apparaît à cet adresse. On November 23, the National Day of Remembrance for Road Crash Victims in Canada, the Minister of Transportation will say Canada has a plan to make our roads the safest in the world. It is true that we have a plan. But there is not much in it. Branded as a rethink, the plan is cover for another Transport Canada from the safety front. Last decade it was aviation. This decade, road safety. We have a road safety plan that does not include commercial vehicles. Road Safety Strategy 2015 sees Transport Canada abandoning reporting timely national statistics. Cost-accounting based metrics have dropped from sight. The government could beef up its road safety effort by releasing the excellent Human Factors report on trucking safety and by using existing, real-time police data to report on deaths, injuries and collisions. Read more. World Watch Institute has released their Vital Signs Report about world wide trends in High Speed Rail. High Speed Rail Canada is sharing this study with Canadians. Interest in high-speed rail (HSR) is growing around the world, with the number of countries running such trains expected to grow from 14 in mid-2011 to 24 over the next few years. "Anthony Perl, chairman of the Transportation Research Board's rail group, said that even if Obama's program collapses, it's "still highly likely" a national high-speed rail network will be built in coming decades, partly because the price of oil is expected to continue to increase. "There is nothing that uses less oil moving people than trains," Perl said. "Cheap oil equals more cars and planes; expensive oil equals trains," Joan Lowy wrote for the Associated Press on Nov, 17. "California transportation officials estimate that if high-speed train service doesn't go forward, the state will need to spend $171 billion to construct more than 2,300 miles of freeways, four more airport runways and 115 additional airline gates to accommodate the travel demands of the state's population of 54 million people by 2050," the Associated Press reported. An influential transport economist from the Organisation for Economic Co-operation and Development (OECD) and a German psychologist are among the high profile speakers at (tomorrow's) forum examining whether mobility pricing can help solve Ontario’s ongoing transport infrastructure and congestion challenges. Transport Futures has invited key Canadian stakeholders to join with our international experts in a wide-ranging, non-partisan discussion on gas taxes, parking fees and road tolls, especially as these measures relate to public acceptance.